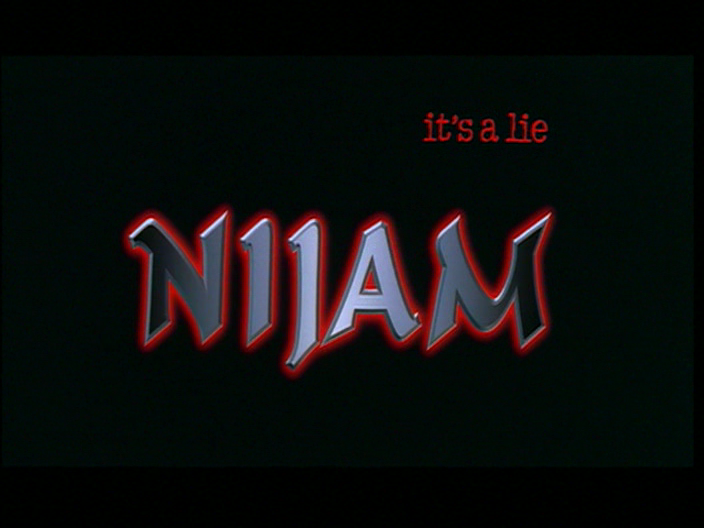 Nijam (Truth) is an odd film. It is far too long, contains some truly repellent characters and the story requires maximum elasticity from your Disbelief Suspenders. And yet I find it draws me in. Produced, written and directed by Teja, Nijam deals with truth, corruption and the eternal Telugu film question of justice. Nijam won several awards and there were a few good films released in 2003 so I guess this really resonated with the audiences. Mahesh Babu is Rama, a shy studious weakling with no visible heroic qualities (apart from being fair skinned and irresistible to women). He idolises his fireman father (Ranganath) but it is the women in his life who really mould Rama’s character. His mother (Rameshwari) is a strong willed and protective woman. His neighbour Janaki (Rakshita) is also strong willed and is determined to get her hands on Rama. The first 90 minutes or is just preamble to the real crux of the story and could have been condensed considerably. Following a run in with local heavy Devudu (Gopichand), Venkateswarlu is framed for murder. He is innocent but the police, especially Brahmaji, are corrupt and the process does not favour the truth. Rama has to pay bribes just to visit his father and is asked for payment by a witness who could clear his dad. 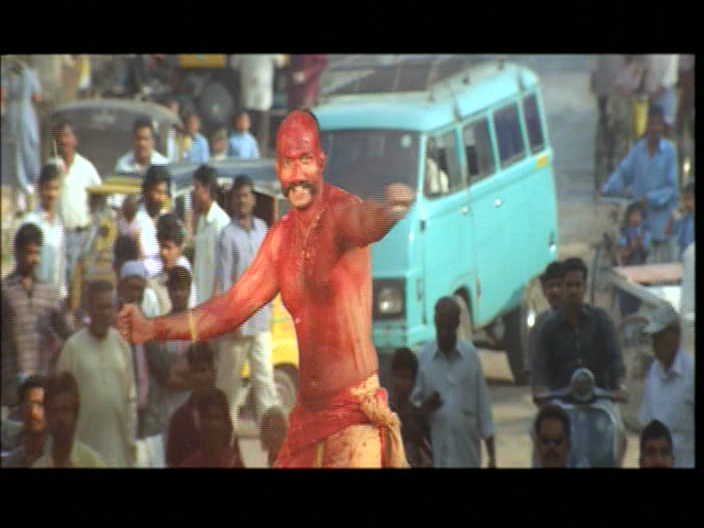 Brahmaji lets Devudu in the cell to take his revenge on Venkateswarlu and things start to go crazy. Rama discovers his father has been injured and tries to get him out of jail. At every turn people ask for bribes to do what is right or, even worse, just to do their job. Rama runs from pillar to post trying to raise the money he needs in time to save his father. Brahmaji colludes in an elaborate scheme to ensure Venkateswarlu dies outside of the jail. Rama is devastated by his father’s death but his mother is enraged. She decides her son will take revenge on those who lied and starts him on a training montage to build his strength and skills. She helps him choose targets in the same way she used to help with his schoolwork. Rameshwari accompanies him on missions and is active in taking vengeance. Things come to a head when Rama and his ma come to the attention of CBI officer (Prakash Raj) and the unhinged and homicidal Devudu. Rama is a challenging character as he spends half the film being a nerdy nobody and then becomes an invincible hero. Mahesh shows the transition well although I struggle to believe he was as affronted by the sight of a female ankle as his gasping and shrieking was intended to convey. He was vulnerable and a bit pathetic as Rama, while there were glimpses of a more aggressive side under his peaceful exterior. He modified his body language and posture as well as his voice to project that less threatening image. Early scenes are often played for laughs, a strong contrast to what is to come. There is a steep trajectory from a scuffle at the police station to the final bloody conflict where he uses anything and everything at his disposal. 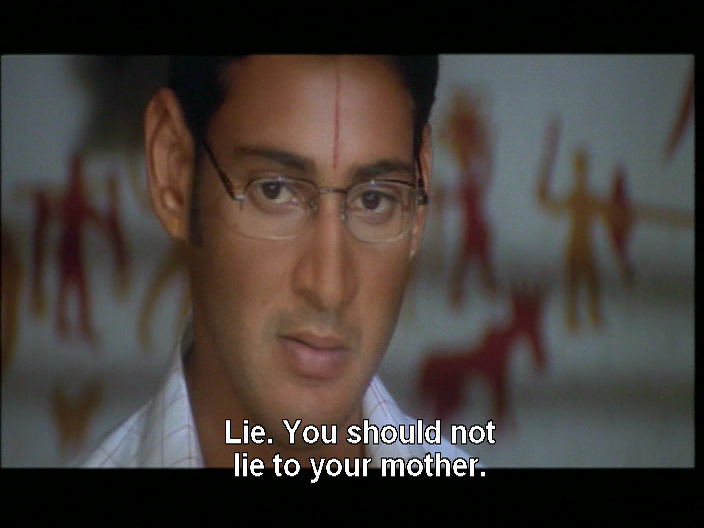 Mahesh certainly has the intensity to make it seem that this transformation could happen. Rama is firmly a mummy’s boy and that relationship was sustained, adding another dimension to the hero-on-a-mission. Rakshita was not bad but she had a thankless and poorly written role. I’ve read several reviews that think Janakis’s harassment of Rama is some manifestation of a woman owning her sexuality and should be celebrated. Some of those reviewers would be the first to cry ‘creepy/rapey/stalker’ when a male character behaves in the same way so I am not sure why they think this is a good thing. The whole drawn out gag with her pressing her breasts against Rama and teasing him with her newspaper padding went on for far too long. She does get a few good lines and I liked that she was unafraid, but I’m not sure if that was bravery or lack of self awareness. This song (which I could only find online in the Tamil version) is quite amusing though as Rama rebukes Janaki for behaving as though he is hers for the taking. I eventually warmed a little to Janaki a little. She stops just being irritating and does some practical and smart things which was a relief. While I like seeing a heroine with more to do than look pretty this is not really a character I want to see more of. Gopichand is over the top yet effective as psycho Devudu who believes he is a god. He killed his boss Sidda Reddy (Jayaprakash Reddy) because Reddy took Devudu’s girl Malli (Raasi). He killed Venkateswarlu because Malli’s brother was accidentally killed in their confrontation. When he wasn’t getting all hands on with Malli he killed and killed and killed. Gopichand really goes for it boots and all, and Devudu creates some of the most striking visuals as his mania incorporates religious motifs. 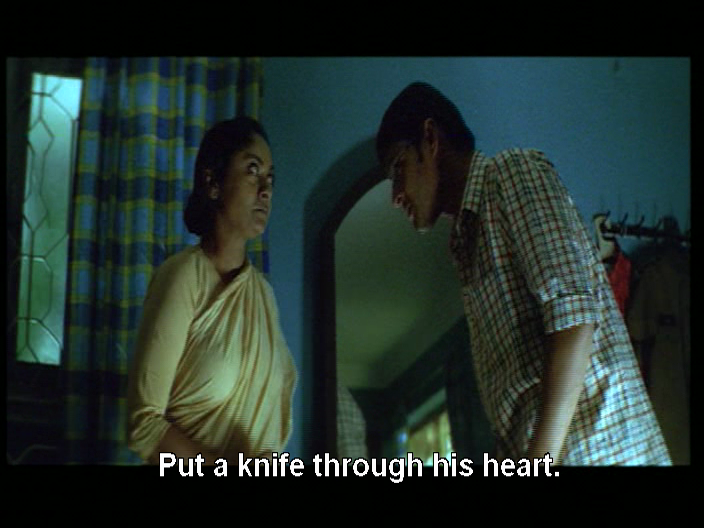 Malli is his equal in murderous intent and has no qualms about sticking a knife into Rama when the chance presents. She is another of the driving forces in Nijam – the women who decide who and what must be punished. 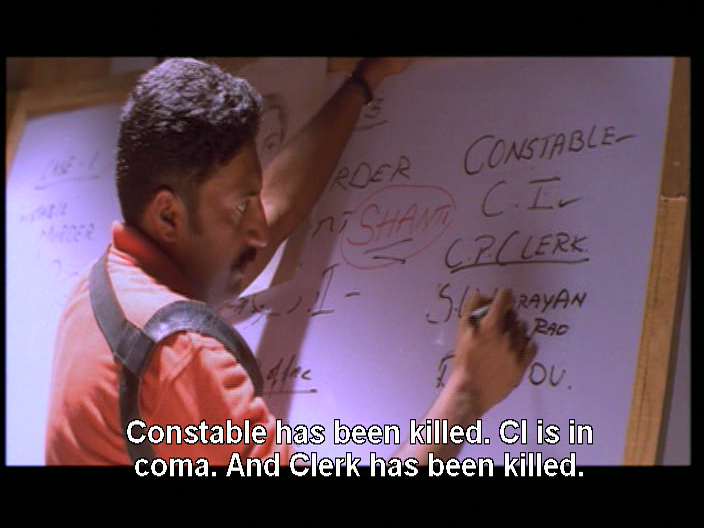 Prakash Raj is the honest and competent police officer set to track down the mystery serial killer. Nobody does authoritarian with heart of gold as well as Prakash Raj. His character is a voice of sanity and reason, but then makes a decision that is totally at odds with his stated goals of upholding the law. Justice seems to be about intent and not actions. The design of Nijam is one of its strengths. The houses and local markets all look realistic enough and the big set pieces for songs and fights are well shot. Red is a significant colour and not always as a tide of blood washing across the screen. Red can be the blessing of vermillion or the pain of chilli powder in a wound. It’s all quite intense. The songs often seemed out of place, especially once the death toll started to rise. The flirty duets gave way to more emotionally loaded songs but they interrupt the flow and slow the film down even more. The songs are shared out among the cast so everyone gets a chance to strut their stuff. The pace is so slow it often feels like the story is happening in real time. 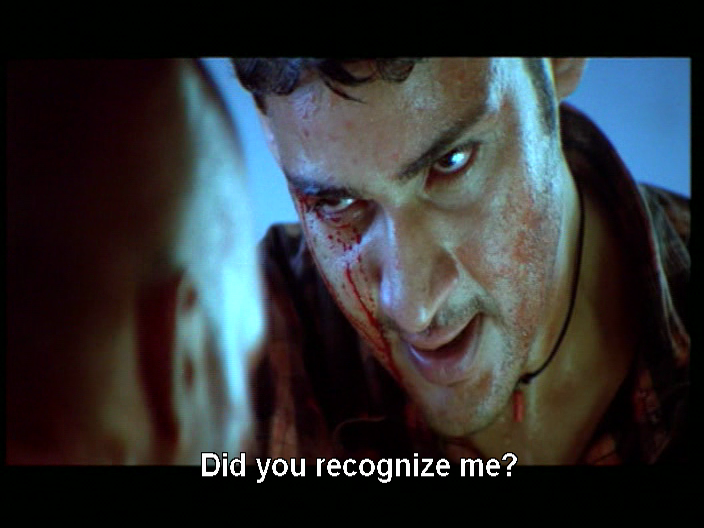 It’s not a film I rewatch often but I think this is one of Mahesh’s stronger performances and more unusual roles. Teja just needed a bit more discipline when it came to editing and trimming down his screenplay. As a plus, it does have strong female characters – I just don’t like them very much. 3 stars! This entry was posted in Tollywood and tagged Brahmaji, Gopichand, Jayaprakash Reddy, Mahesh, Mahesh Babu, Nijam, Prakash Raj, Raasi, Rakshita, Rameshwari, Teja, Telugu, Tollywood. Bookmark the permalink. No. Gopichand doesnt think he is a god. His name though literally means God. (Devudu) But its a common name. He takes a libation of blood meant for the goddess and pours it over himself saying he is the same so it makes no difference. He has himself carried in a procession instead of her image. He refers to himself being the same as a god a number of times. I think that all adds up to a god complex Sasank. Anyways do watch Pizza; its very good.